On 17 Dec 2010, OSK break RM2.23 as 2010 new high record & retrace down to RM1.98 level. 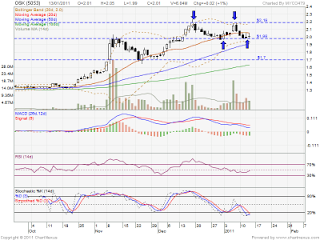 On 7 Jan 2011, OSK retest RM2.19 but unable break up & retrace down to RM1.98 level again. On 13 Jan 2011, OSK formed a doji sign. Current support level RM1.98 level. 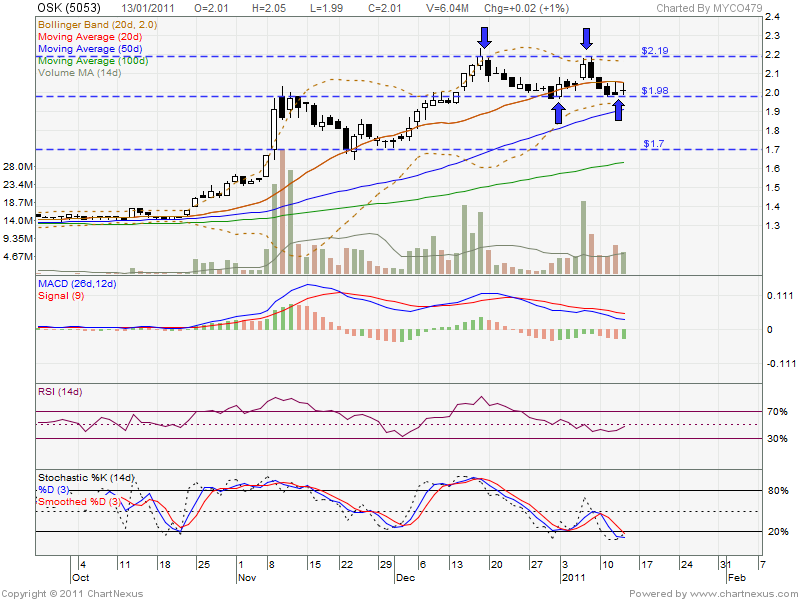 If future retrace down, next support will be MA50 & RM1.70 level. However, if rebound, it will retest RM2.19 resistant level.